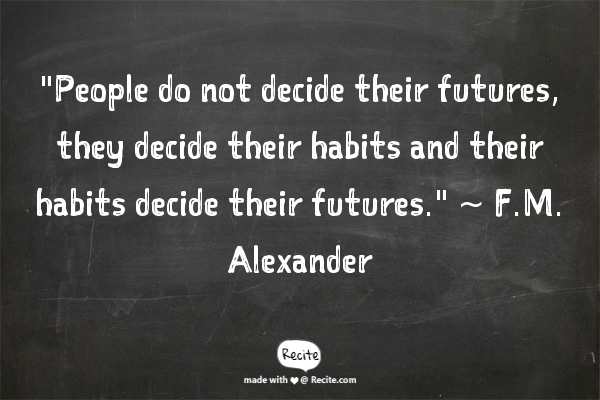 Throughout the last year, I’ve been reading a lot about habits. It’s really fascinating why we do the things we do- whether it’s our purchases at the store or our bedtime routine. Moreso, habits are changeable! So what habits do we need to let go of when it comes to money? I’m personally sick of hearing to “give up your latte each day!” You mean a $4 Starbucks drink x 5 days a week is a bad investment? Duh. I want to think of some of the other little money snatchers. 1. Eating out. Everyone preaches against coffee, but pays no attention to how much we eat out. Go to a cash system for eating out and you’ll realize how much you really spend. You’ll be on the 3rd day of the month with no money to burn. The average American spends $936/year just eating out for lunch! It’s time to pack a turkey sandwich – you’re wallet (and waistline) will approve. 3. Fundraisers. Ohmygosh, Mr. Yoder Toter and I had to rein this one in because every sad Boy Scout or school kid that came to our door sold us cookies, popcorn, Yankee candles, and any other item we really didn’t need. It usually goes like this, “Can’t we just give you $10 for the school?” “Uh, no, we’re not allowed to do that.” “Oh, ok. I’ll take the caramel corn.” Fundraisers can be a great thing, but if you are tight on cash or saving for something or getting out of debt, they just aren’t necessary. Don’t even get me started on the schools asking me for more money. I digress. 4. Kids. There is no denying that kids cost some money. However, I nearly jump through my Instagram feed when I see babies with new fancy clothes. Like, nicer than the parents. If you spend $20 on a onesie that your child is going to poo up the back of, I’m questioning your sanity. (I mean that nicely, but it has to be said). I have been in love with Freshly Picked kids moccasins for the last year, but they are $60 and I don’t spend $60 on some of my own shoes, so why would I put them on my daughter who will wear them for maybe 3 months? I know I’ve lost my mind a few times since having kids, but this just irks me. Buy consignment or thrift. Borrow from friends. Go to Target (I’m a hyprocrite!) The end. So change your money habits, and change your life. I’m sure you’re daughter would rather have some Gs for college than some cute shoes! Anyone else on the struggle bus when it comes to avoiding Target? Please tell me you haven’t spent $20 on a onesie?! More reading- This book will explain why Target owns you, Momma. The quote above is from this book, which was one of my top 5 books of 2014. I got really lucky with my new job…our corporate cafeteria is pseudo subsidized with a big empahsis on healthy options, so with the right choices, it’s cheaper to eat in the cafeteria than to bring from home (unless we have leftovers to eat). I can get half a wrap sandwich & a side for less than $2…and lots of healthy options (plenty of veggies for the wraps…great salad sides). A lot of people leave the building for lunch but when I can be full for $2 while knowing the ingredients of what I’m eating, spending $5 or $10 seems crazy to me! That’s a great deal! If you can eat healthy for $2 you’re better off than packing!